More welding. It is going much faster on this one though. 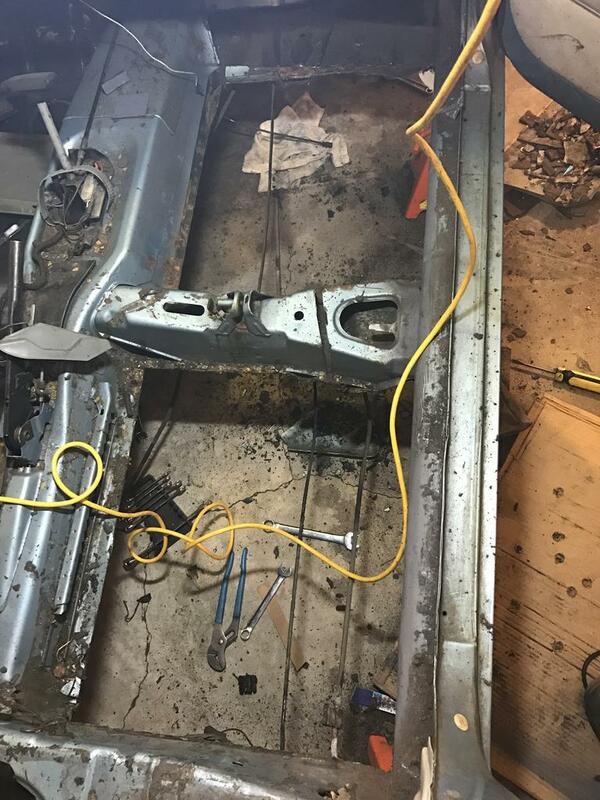 As of tonight I'm calling the floors welded. There is still more finishing to do, like the support pieces on the undersides of the pans from the control arm mount back. 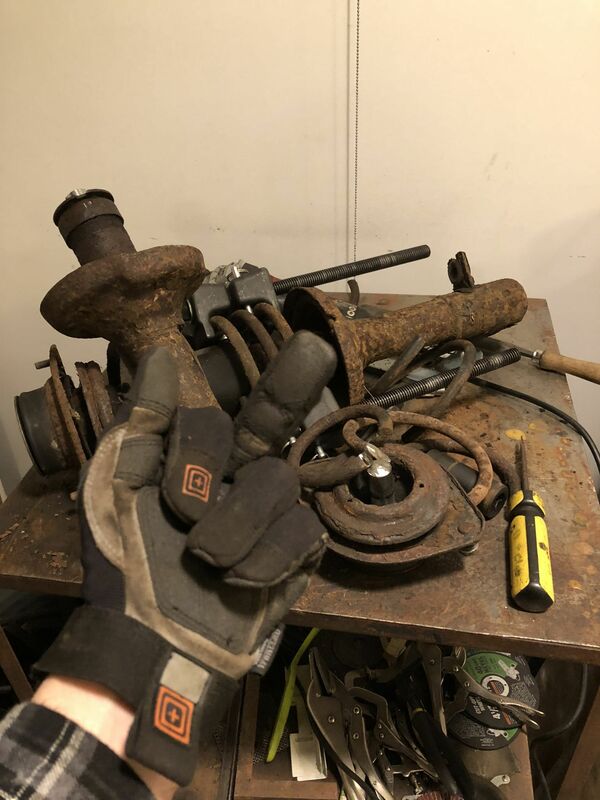 I'm not sure what to do for those yet, but all this welding is starting to seem like work. So I'll clean up what I have done and spray some primer on it to keep it from rusting, and try to decide what to do on it next. Hopefully the weather will keep getting warmer so I can get to properly painting the floors, clean and paint the gas tank and the rear swing axle and the like. 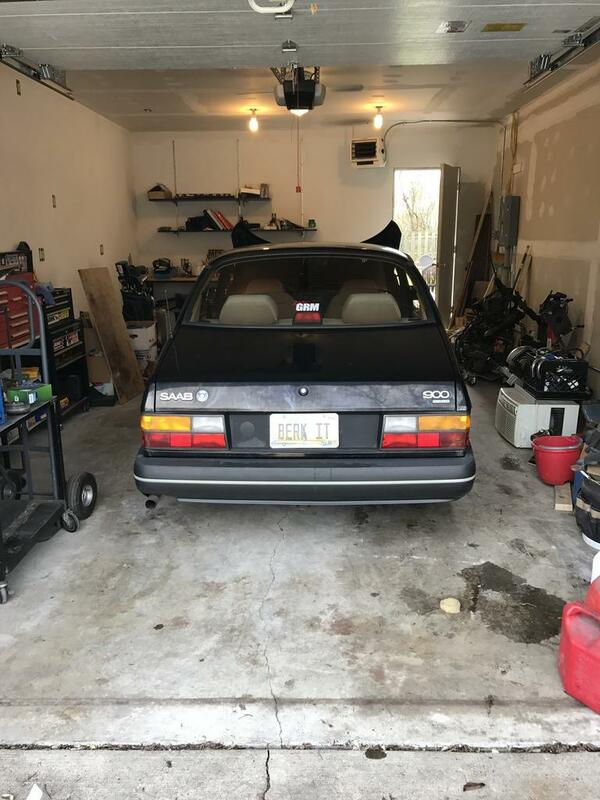 In the mean time I decided to press my Saab into rallycross duty- I bought a SCCA membership and a few other goodies, so it's time to get out in the dirt. Another build thread to follow for that! You did that with flux core? It looks great! Looks more like you sewed it with a machine, needle and thread! Good work! The last couple of weeks have been sort of a changing of the guard in my garage. I cleaned up the newly welded floors, then primed and painted them with Rustoleum. 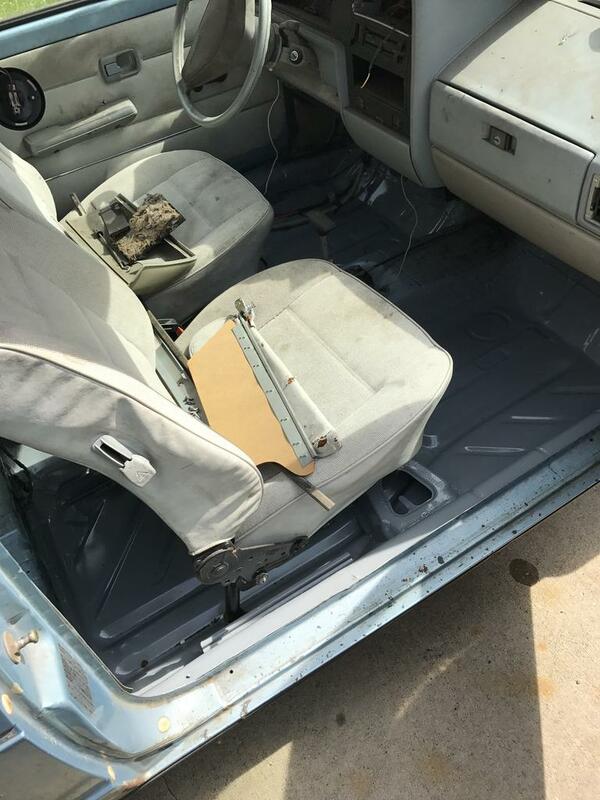 Installed the seats for now and pushed the poor thing out in the driveway. All of this was to make room for this old girl, which sat pretty much the whole time salt was on the roads. I decided this year is the year I go rally crossing for the first time (driving in any motor sports actually), and I'm just not going to have the VW ready. I would hate to rush the Rabbit and do things half assed. So for now the VW is paused, and on to give the Saab some attention it needs. While I was waiting for some epoxy to dry, I was able to get some work done on the fuel tank. I got the heinous black undercoating off as well as much of the rust and found one pinhole which I shall weld closed. During that process something inside the tank came loose and was rattling around. I had already removed the screen filter, so it wasn't that. It was a tube. 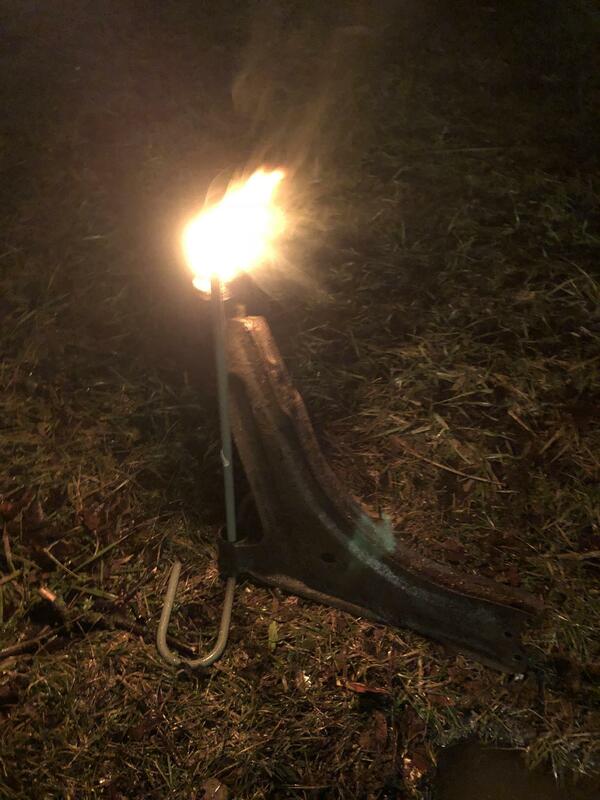 Cursory research indicates this is part of the venting for the fuel filler neck. But how do I get it back in there? 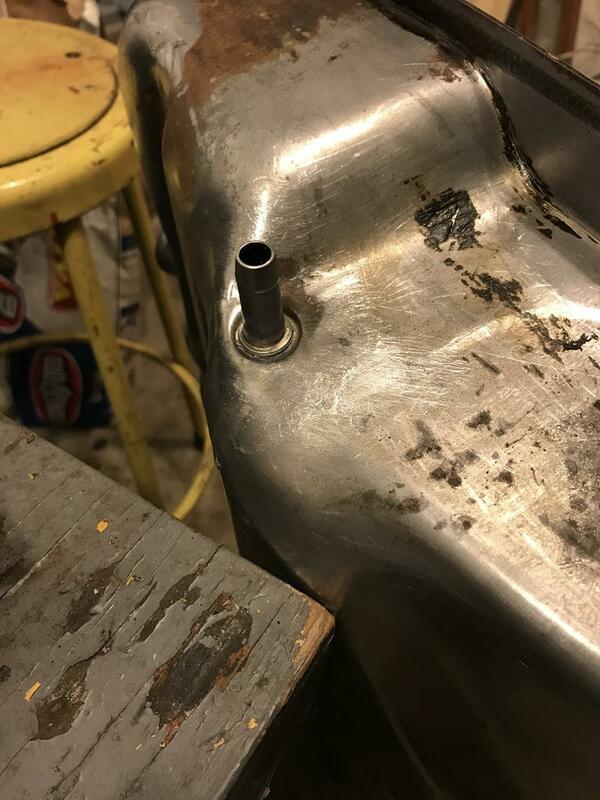 After taking a closer look at where this tube came from, I have a feeling I'll be adding a replacement tank to my parts list. Looking inside the tank (first two pics) I believe these points are "a" and "b" for the tube. If this is true, it goes to point "c" on the outside of the tank. Which I'm pretty sure means the tank is berkeleyed. 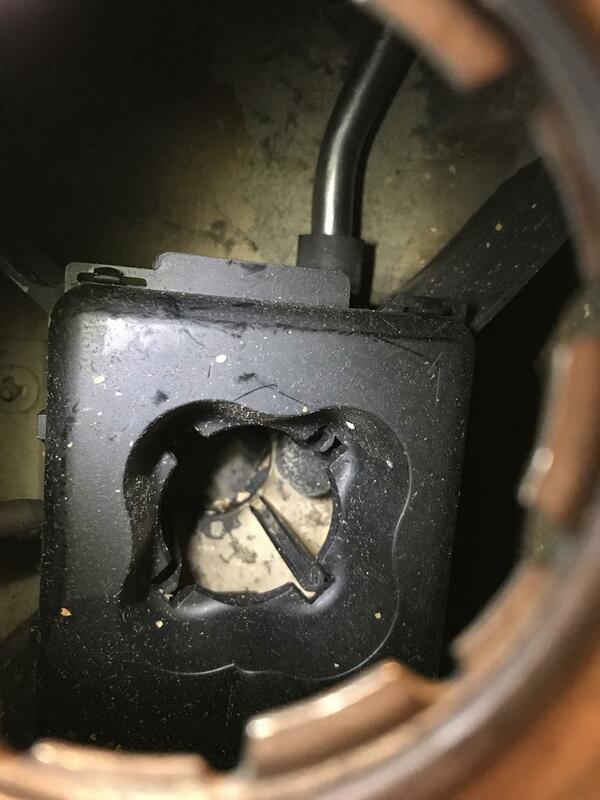 While it looks good for the fuel tank venting issues to be the possible culprit, check the fuel pump relay for proper operation by bypassing it with jumper leads. I diagnosed a similar car with the same symptoms 30,000,000,000 years ago. Also, find the Robert Bentley manual for this car if you can. It explains the K-Jetronic very well and you WILL understand how it works and diagnosing it. 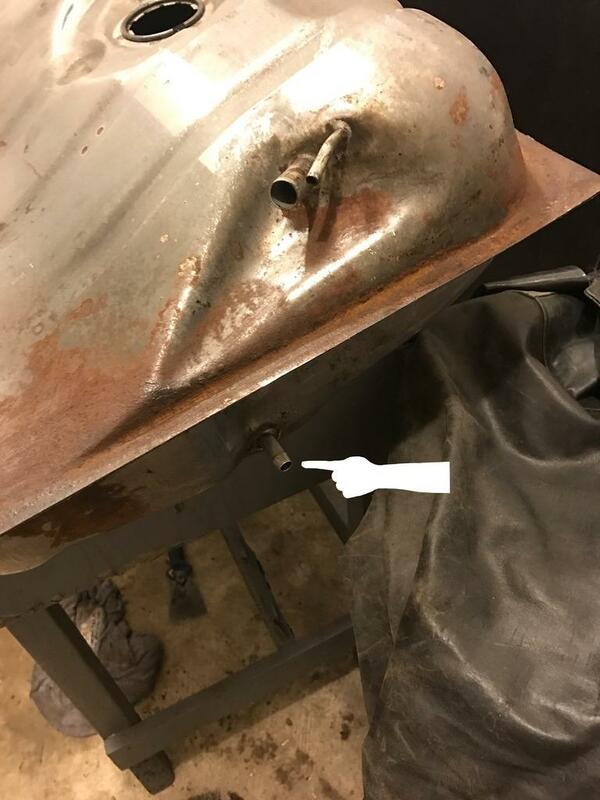 A response to a post I made on vwvortex got me thinking about my fuel tank woes. So I stole the idea and decided to test it out. 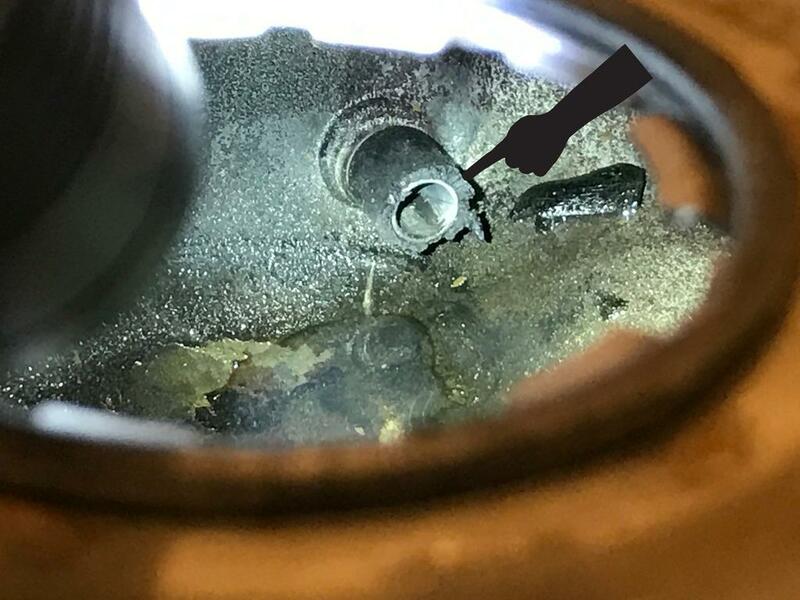 It turns out the fuel outlet fitting on the tank is soldered in. Hmmm... So I desoldered the fitting and dug it out of the tank. 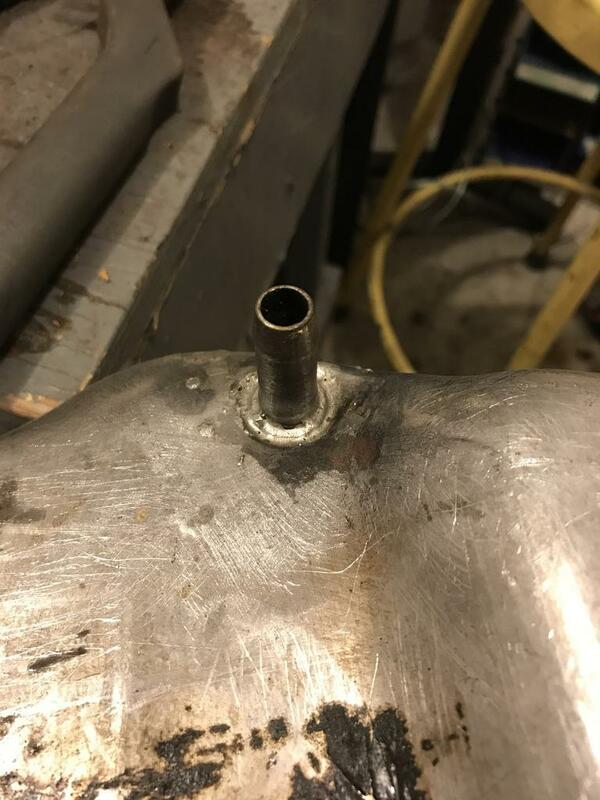 Cleaned everything thing up on a wire wheel and welded the fitting to the tube. This is the idea I stole. And then I soldered the E36 M3 out of it. 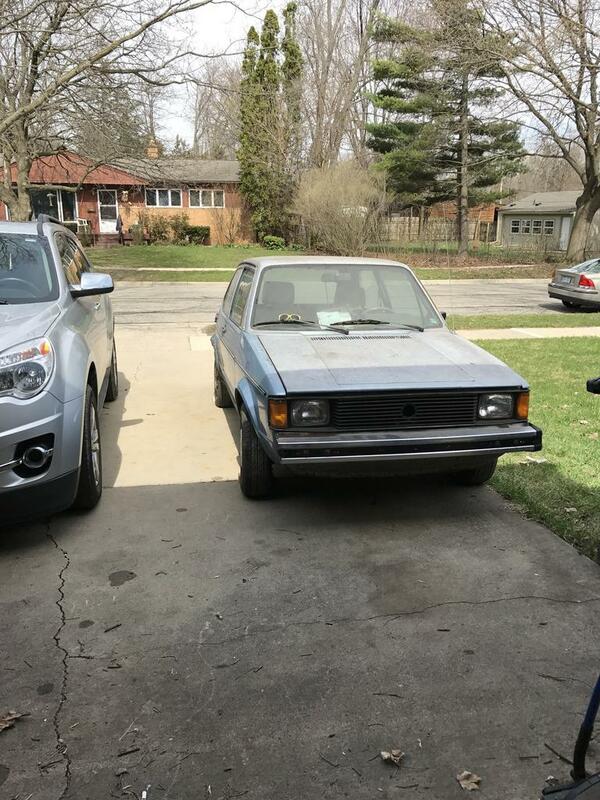 A little more work getting done on the Rabbit as of late. 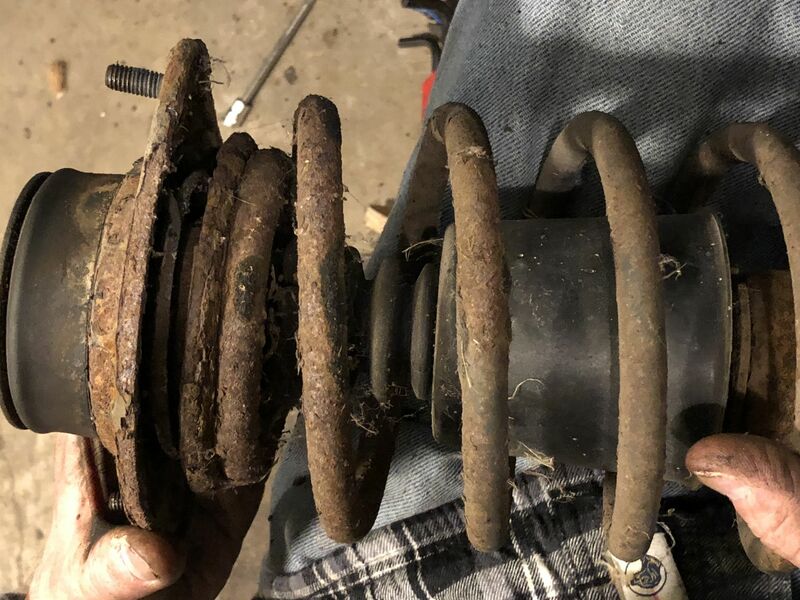 Since during the course of working on the car the shock absorbers gave forth their life essence, it was time to start taking it all apart to figure out what else had to be replaced. The front struts came out tonight, and I'm not quite sure what to do with them. 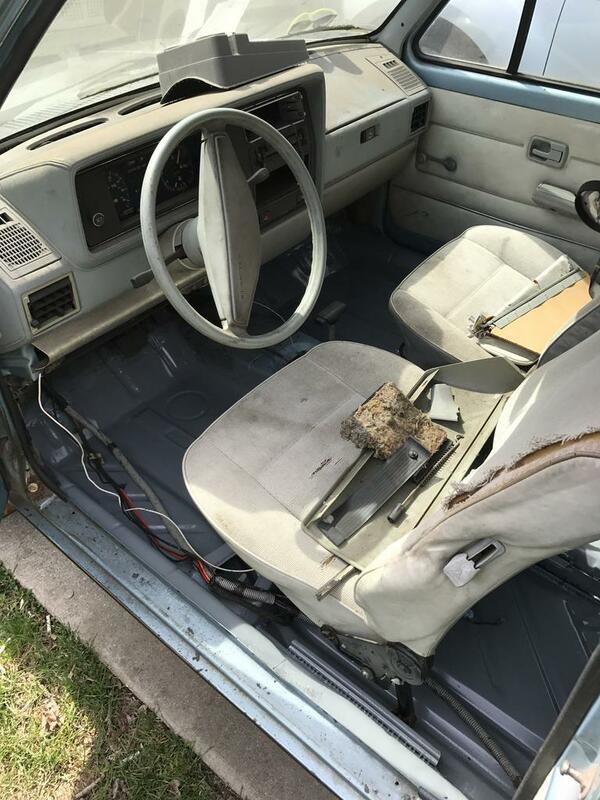 This is the passenger side, but I'm sure both sides look the same. 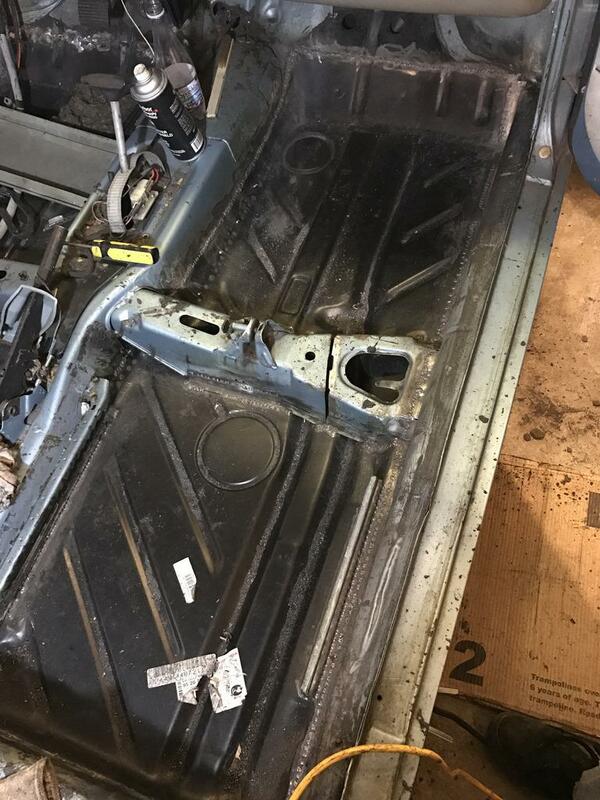 De-rust, paint, put new inserts in and see what happens (assuming they can be salvaged)? Or find affordable for me (ha) replacement strut assembies. Are they worth all the effort of saving? My question of the week. I'd say it depends on what you plan to do- if you want to keep those springs, then I'd just replace the top mounts and the inserts (start soaking the threads in PB blaster now!) and call it good. 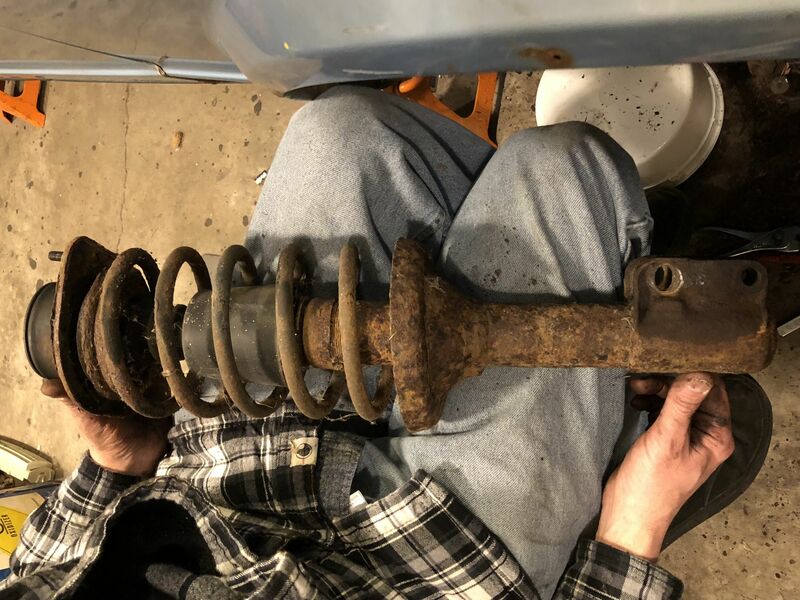 If there's some VW lego type thing you can do with newer/better struts then I'd be tempted to go that route, simply because what you find in a junkyard might not be any rustier than that. EDIT: Attack the spring perch with a sharp screwdriver or punch or something, if you can poke a hole in it then I'd just scrap the whole strut assembly and start over. Researching LEGO options while they soak. If you decide to buy replacement assemblies. I might be able to help reduce the cost slightly. 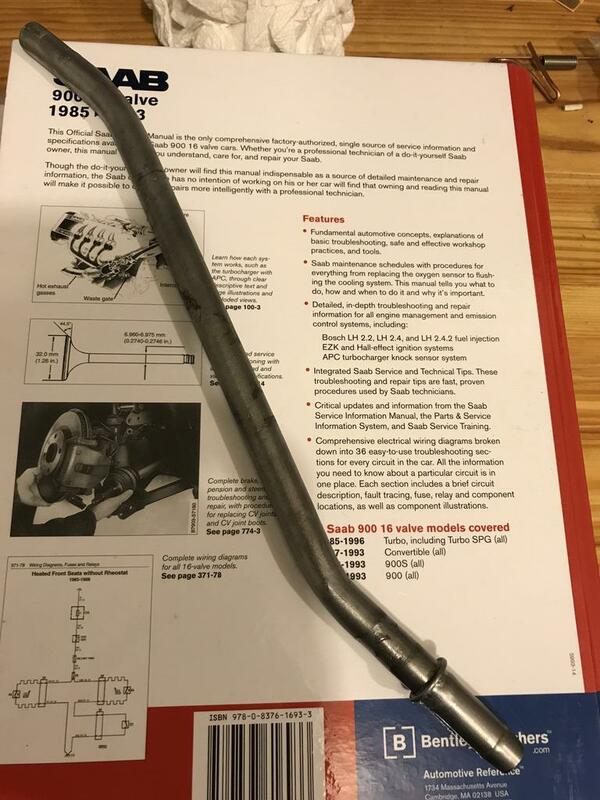 If you don't need the old shock assemblies. To save on shipping cost, I really only need the top of the threaded tube and the "nut" at the top of the tube. If you could take a sawzall to the tube just above the spring perch, that would be great. Very glad to see this pop up on the board again! Bummer the old pics are gone, but I'm stoked that it's still an active project! Wow man, thank you! I appreciate that! It’s been on hold for a number of months due to other obligations, but those have changed and freed up a good chunk of my spare time. I believe I got all my images back out of Photobarfit, so I’ll need to upload and re link them one of these days. Despite heat, Kroil, wrenches and careful use of a hammer, the nuts on the strut tops refused to yield. Long story short, the grinder came out and the spring on the first strut did not survive the experience. So I'll be buying a set of new front springs. 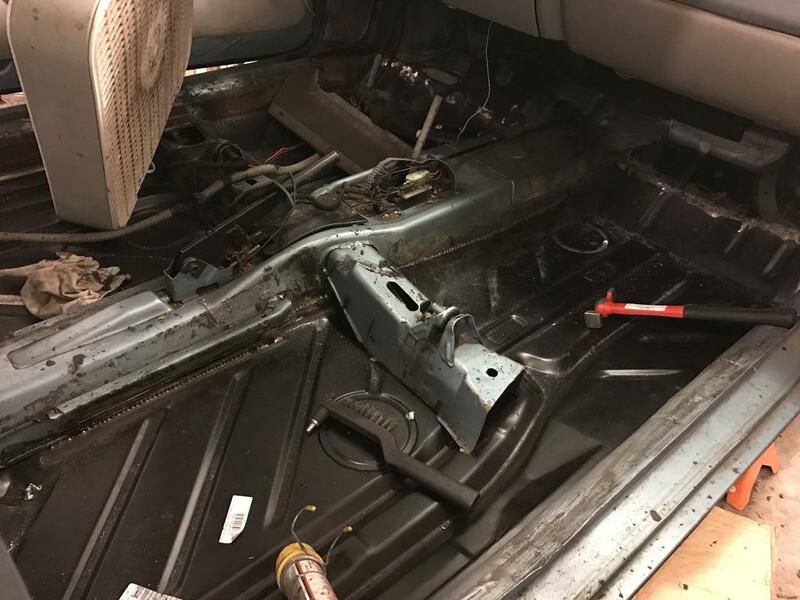 With the spring out of the way, I was able to cut the insert shaft and at least get the upper perch and the mount out of the picture, and then the bump stop and dust cover came off. So an upper spring perch and strut mount will be purchased too. But once again, I couldn't get the threaded cap on the strut housing to budge so I could get the insert out. 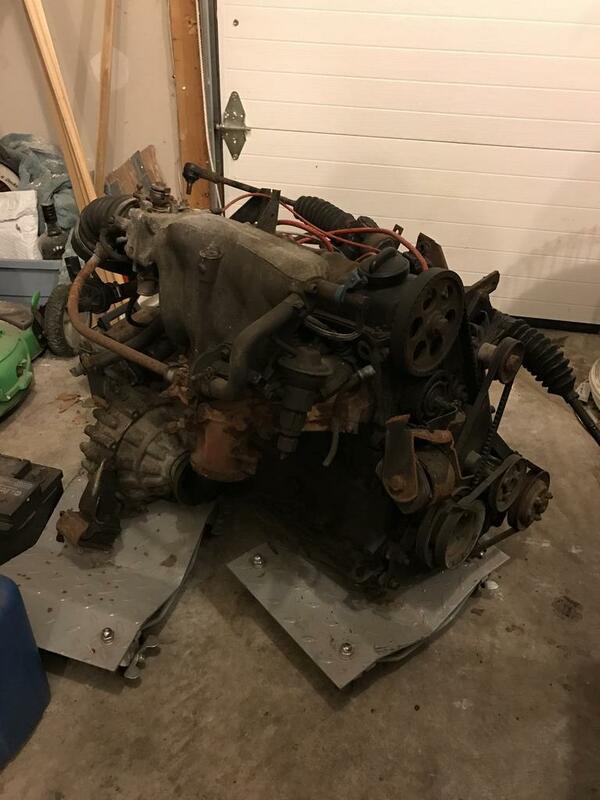 So I guess I will be adding strut housings to the list too. 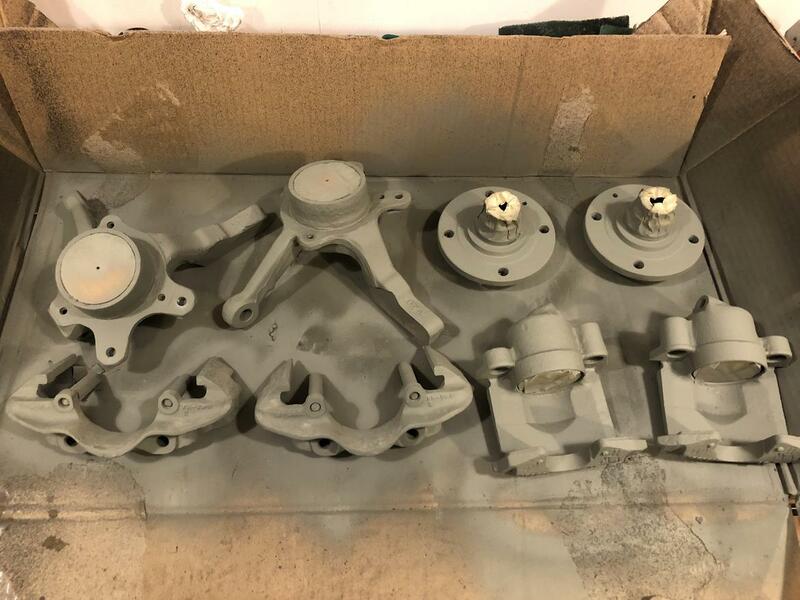 This is starting to get annoying- especially since the only strut assemblies I can find in my price range are made by Sachs and don't accept an insert. Boo! So I'll spend the next week thinking about what to do next. I was really hoping the housings could be reused, but that's how it goes sometimes. Not too much to report as of late. It seems a slip and fall in January caused a suspected torn rotator cuff in my left shoulder. This put me off work, at home, with one usable arm while I go through PT twice a week. 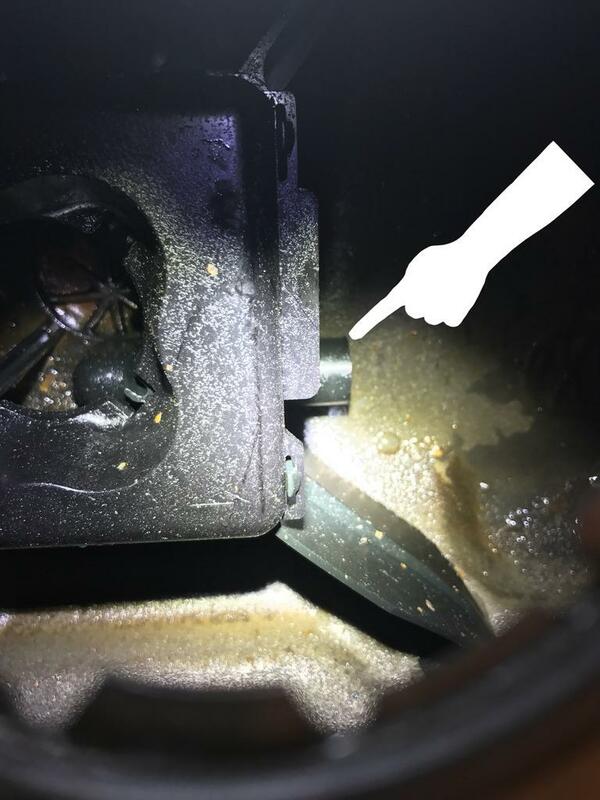 So I gathered up the rusty brake and suspension bits that were lying under the Rabbit and subjected them to my new favorite gizmo- the electolysis de-rusting bucket of wonder. I didn't take before pictures because I honestly didn't think it would work, but it did. Some parts showed up in the mail too. 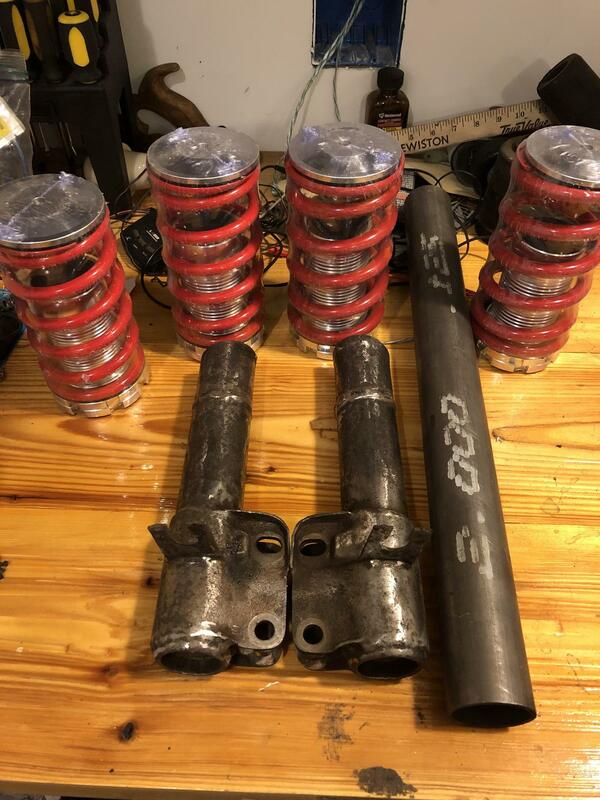 Some shock absorbers, one of which wasn't right, and some ebay coilover sleeves. So this will give me something else to look at in my spare time. Awesome work. Really digging this thread. Your flux coring skills give me hope. Hope you continue to heal so you can update this thread more often. I have a pair of Golf struts if you would like to compare dimensions, or see if they can be adapted to a Rabbit. They have the stock spring perches removed and have threaded sleeves. And I take back what I said in the email about having no experience with removable cartridges. 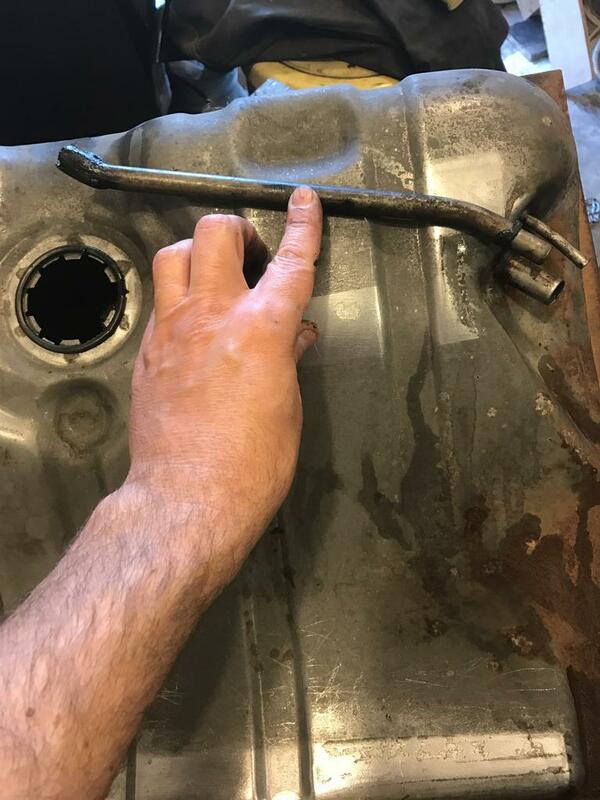 At some point in my memory banks I had to remove those rusty threaded caps, and it involved a pipe wrench and the 4 foot handle of my Harbor Freight jack. Thank you so much for that offer! I just realized I owed you an email back, I'm sorry. I tried to get those suckers to bust loose with what I had in the garage. Turns out I'm a bit under-equipped for that kind of work. But it turned out to be ok as another forum member here said he could use the tops. I'll throw a GRM Challenge type of thought out here,too, since your converting to a coilover sleeve anyway. Fox body front struts are pretty close in size to VW Golf units, just 3/8" less stroke. 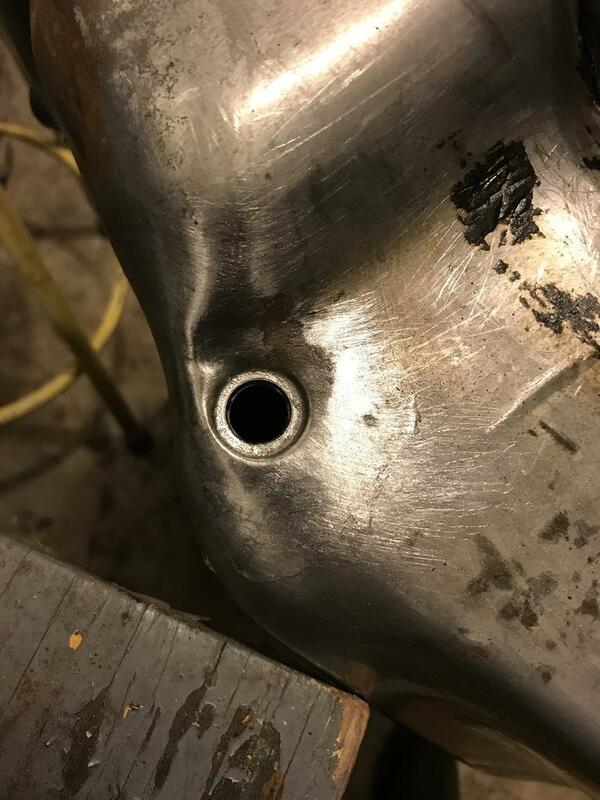 The bolt holes are no doubt different , but that's what welders are for. I haven't found Rabbit strut dimensions yet.